Add to 2 – 4 cups of water. The lemon juice can be diluted more according to taste. Nutrition Tip: Fresh lemons are high in Vitamin C and dietary Fiber. It also has Vitamin B6, Calcium, Potassium, Copper, Thiamin, Riboflavin, Pantothenic Acid, Iron and Magnesium and is low in calories. To read more about alkalizing the body click here: Balance the Body with Acid/Alkaline Balance. For a weight of less than 150 pounds, 1 whole lemon a day. For a weight of over 150 pounds, 2 whole lemons a day. When you are making your lemon water make sure you are not filling your body with chemicals. I know that it was making me ill a long time ago and have always drank filtered water. Here is the water filter I am using and very happy with it. The only way to remove fluoride is to use a reverse osmosis system and some are better then others. When I did my research this is the one I decided on. Raspberry Lemon Vinaigrette: This dressing is called a `vinaigrette’ but I do not use vinegar since most vinegar is acid forming. Light Herb Lemon Olive Oil Salad Dressing: It’s easier to make than to say it. Sugar free and low calories. 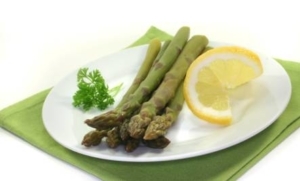 Asparagus with Lemon Juice: Two tasty powerfoods together. Borscht: Lemon is an important ingredient. I have been making this lemonade for quite awhile now, it’s the best tasting lemonade ever! Thanks Lee. I think its great tasting too. I tend to use at least one lemon a day for salad dressings but this adds a lot more! thanks for this…wondering if limes are as good or the same? heading to Mexico where limes are readily available. we can’t buy stevia in the UK (as far as I know). Do you have an alternative by any chance? Annie, limes are also very alkaline forming so yes they will work. Flick, you can get stevia in the UK; it`s the best to use as it is not acid forming like sugars are. Make sure you get one that is liquid and natural not a white powder. You may be able to buy the green leaves in a health food store. Thank you for this! What great detailed info on their alkalinity. Glad to hear limes are also useful this way – tho are lemons much stronger? What about the organic squeeze bottles i can get at my local co-op? They are not raw juice, so are they acid pH? thanks Diana. Good to know. Thank you, Diana! So happy to have your informed resource here for us. Wishing you and Randy a healthy, joyful and prosperous 2012! Fresh lemon juice in warm water each AM will keep your system “moving”. It mentioned not using vinegar because it is acid forming. I was under the impression that apple cider vinegar was very healthy for you! Is A.C.V. the exception to the rule? Cheryl, lemons are the most alkaline forming food. Both Umeboshi Vinegar and Apple Cider Vinegar are mildly alkaline forming; they are not acid forming. They are healthy alternatives to include in your diet and do have some very good benefits. For quicker alkalizing lemons are the best. I just read above that we should not use Stevia in the white powder form?? Does that make it acidic? I did notice that my Stevia from Trader Joes, has under other ingredients just lactose (milk)…assuming that helps with the texture? So is only liquid Stevia alkaline or at least neutral?? Terri, the stevia white powder is similar to the way many foods are refined like white sugar and white flour. This always makes the food more acid forming. Not all liquid stevia is the same either. Did you read my article Sweet Benefits of Stevia: https://www.realfoodforlife.com/stevia You will learn more about why and which stevia is the best. I make it without stevia or sugar of any kind. Actually, I peel and eat lemons in the same manner I would peel and eat an orange. BTW, lemon peels are delicious, too! I often do that too Dee. For some the lemons are to sour so some stevia is good; I like it that way too sometimes. I understood that eating lemons or straight lemon juice will eat the enamel of your teeth. I have sensitive teeth anyway. Cindy, if you have sensitive teeth then do not eat lemons on their own or drink straight lemon juice which I would be surprised if you could as they are so sour. Best to dilute them as in this recipe and you could put even more water in. Ask your dentist what he thinks of you having lemon water or salad dressing made with lemon juice. I am sure it would be much better then vinegar. Let me know what your dentist says. I make Lemon aid/water/juice by putting a 1/2 Organic Lemon (rind, seeds and all) and 2 cups of spring or filtered water in either my Vitamix or NutriBullet (or any other blender if cut up small) and blend well. Pour the contents into a gallon “glass jug” ($5 @ Walmart), top off with water and chill, or over ice. No sugar or any sweetener added. Tastes Great! It’s refreshing, and your body will Thank You! If too strong at first, start with a 1/4 lemon and increase to taste. lEMONS AT PRESENT TIME IS .89 PER ONE THEY ARE SMALL AND ALL SWIVELED I CAN’T AFFORD BUT I KNOW IT WOUL HELP. 1. What is your advice with regards to juicing a whole lemon for your recipe of lemon-aid? I am wondering if there are any cautions I should be aware of, to juice the whole lemon with the rind on. For clarification, I am a ‘Champion Juicer”. 2. In the morning first thing, I am drinking at least two cups of warmed water. What is your advice, as to how long I should wait after drinking the two cups of warmed water first thing in the morning, before drinking the lemon-aid? If you can get Meyer lemons where you live, or grow them yourself, they are not as sour as other lemons. I only found this out when we moved to a house with a Meyer lemon tree (with Meyer lime grafts!) in the back yard. These lemons make delicious lemonade without any sweetener of any kind added. They are worth the price if you can only find them in stores. It’s really a cool and useful piece of info. I amm glad that you shared this helpful information witth us.